ECD and NBCDS 25th Anniversary Celebration! Different venue: St. John’s Episcopal Social Hall in Petaluma. 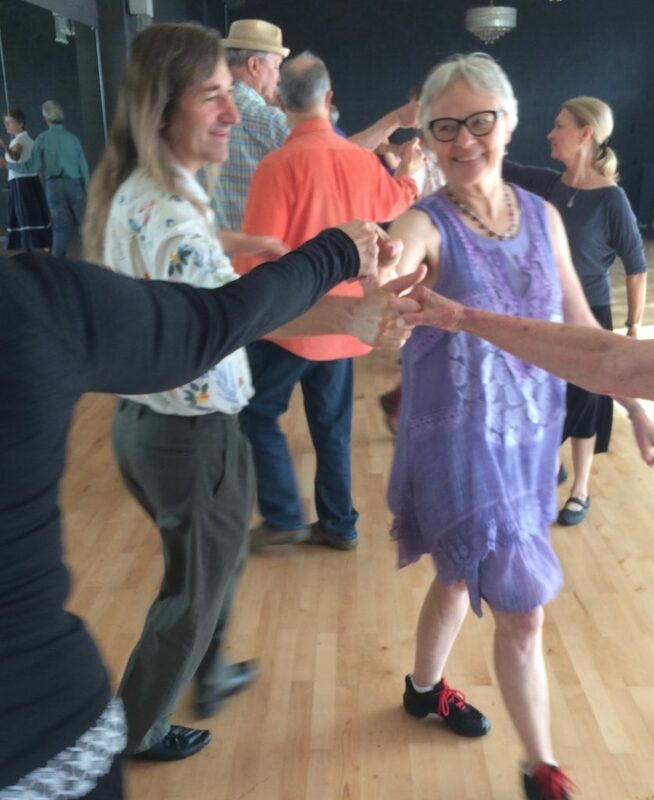 The day’s events include English dance, potluck with special presentations, Morris dancers, evening contra dance, prizes (Mad Robin Ball registration, CD’s, Copperfields gift card, dance shoe bags) and more! Come early for new dancer instruction at 1:45, no partner necessary. Wear smooth-soled, low-heeled shoes. Admission $14 general, $12 members and affiliates, $5 young adult 19-30 and financial hardship, $3 youth 6-18. Fragrance-free event, no perfume or scented products please. Questions, call Kathy 707-829-0168 or kwoeltjen@yahoo.com. NOTE: For this special celebration, admission to the English dance will also give you admission to potluck and the contra dance in the evening. 4:45-5:30 pm Dinner- we provide chicken, a vegetarian and vegan entree. And paper plates. You bring a side dish, salad or dessert to share. 5:45-6:15 Speeches and honoring our founders and local heroes- Michael Martin, Kalia Kliban and Jon Berger.